Re: "Here is another chart from the pen of Benjamin Franklin. 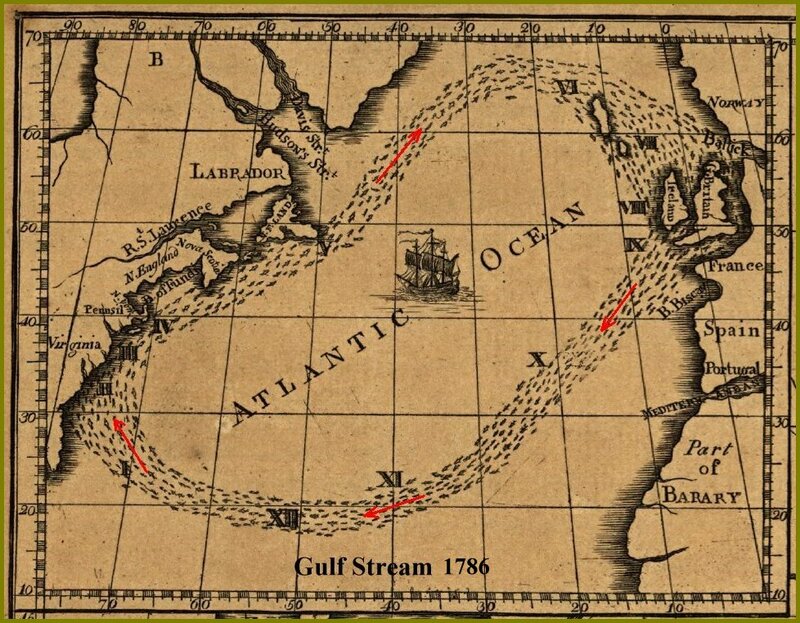 It shows that he realized that the Gulf Stream is actually a loop." 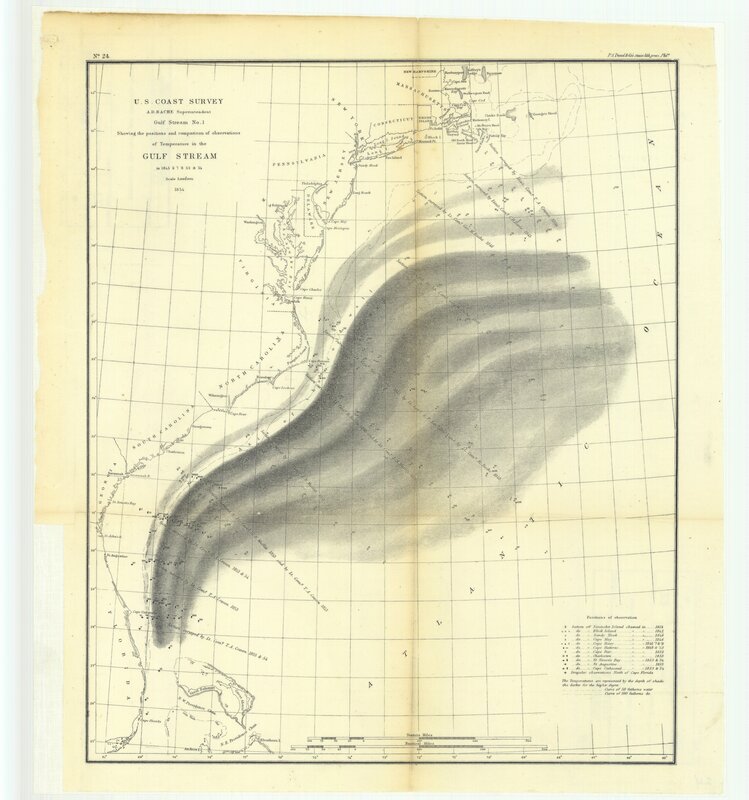 The chart actually shows the migration of herring, not the Gulf Stream, and is an illustration of another article in the same issue as Franklin's Maritimes Observations. 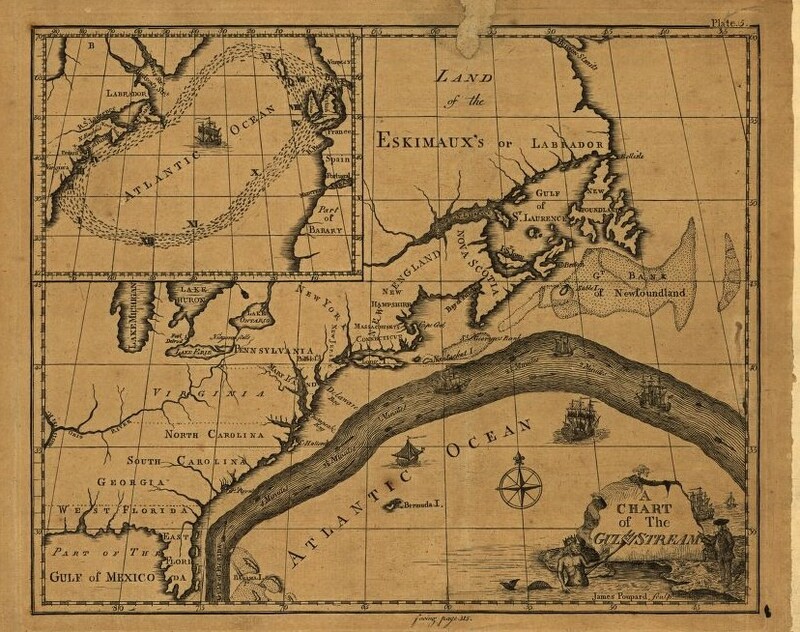 The article is by J. Gilpin 1786, Observations on the annual passage of herrings, pp 236-239. The publisher was probably trying to save money by combining the two images. Several people in the past have made the same mistaken interpretation of this image.